There's no substitute for air conditioning when it comes to keeping your cool in the sweltering summer. But even if you already have AC, finding other ways to keep your home cool can add up to big savings on your energy bills. 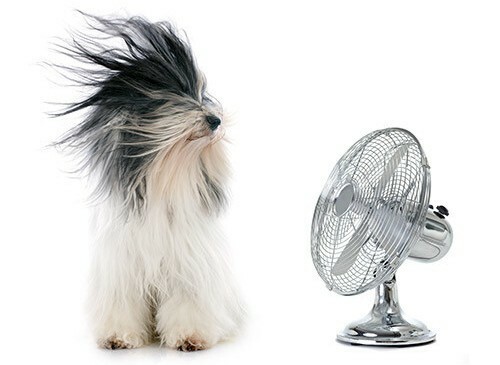 Take the strain off your air con with these seven energy-efficient steps to beating the heat. It might seem like the last thing you want to do, but closing the windows when it's hot outside will prevent warm air from entering your rooms. Especially if those windows face the sun. Open the windows again when temperatures drop to let the cool evening air circulate. Find out which windows face prevailing winds so you can make the most of the cooling breeze. Even if your windows are closed, the sun can still heat up your rooms if your window coverings let enough of it through. If you already have blinds or heavy, dark-coloured drapes, you can supplement these with external shutters or awnings. Or even plant some trees if you're thinking long-term. Your air conditioner has to work extra hard if your home's not insulated. Installing loft and wall insulation reduces heat transfer and helps your rooms stay to cooler for longer, as well as warmer in the winter. The installation will pay for itself over time in reduced electricity bills. It can be a shock to learn that you're been using fans wrong all these years, but many people do. If you have a ceiling fan, make sure it's rotating anti-clockwise to blow downwards rather than simply circulating the air. Place standing fans in doorways and in front of windows that receive the wind to create cooling air currents. Of course, the other way to enjoy home-cooked meals without heating up the kitchen is to take things outdoors and enjoy the fresh breeze. That doesn't have to mean a barbecue every night though. A solar oven can roast and bake using nothing but the power of the sun, keeping your bills even lower.